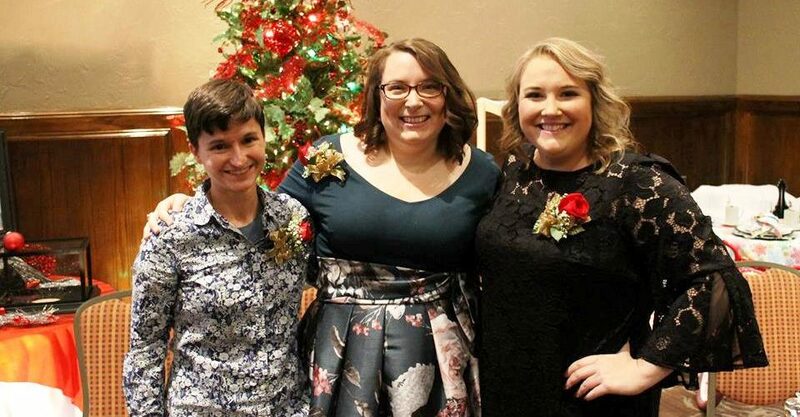 Sarah Drubinskiy, Charles O. Stones Intermediate Center; Sarah Harris, Victor Ornelas Elementary School; and Violet Dubois, Horace J. Good/Kenneth Henderson Middle Schools, were named 2018 Crystal Apple teachers on Thursday night. 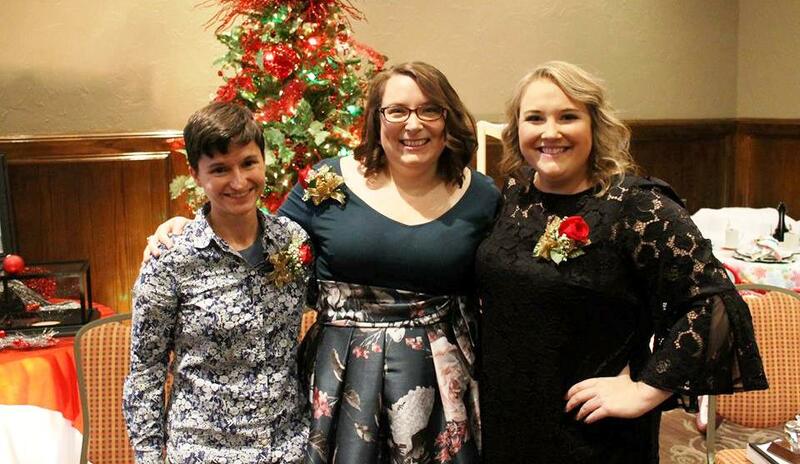 GARDEN CITY – Garden City Public Schools teachers Sarah Drubinskiy, Violet Dubois, and Sarah Harris were honored by being named 2018 Crystal Apple Teachers of Finney County during a banquet Thursday night at the Clarion Inn in Garden City. Drubinskiy teaches at Charles O. Stones Intermediate Center, Dubois at Horace J. Good and Kenneth Henderson Middle Schools, and Harris at Victor Ornelas Elementary School. Each Crystal Apple Teacher received an engraved crystal apple, a $1,000 cash award, an iPad, a lapel pin, and a framed certificate. Three other finalists ­— A’Lana Bates-Aronson, Horace J. Good Middle School; Barbara Hilt, Garden City High School; and Denna Welch-Haney, Abe Hubert Elementary School — each received a cash award of $250 and a framed certificate. The Crystal Apple Teacher Recognition Program was developed, organized and implemented by the Community Awareness and Recognition (C.A.R.E.) Committee, a Garden City Area Chamber of Commerce task force and representatives of the business community. The program honors outstanding teachers in Finney County for their efforts in teaching children.